CSLB is partnering with local law enforcement, the Better Business Bureau (BBB), and industry leaders in the warm-air heating, ventilating, and air-conditioning (HVAC) sector to address an epidemic of companies that promise consumers low-cost tune-ups, and then up-sell services or insist on replacing an entire system through high-pressure sales and scare tactics. These unethical business practices cheat unsuspecting customers, especially older adults. The campaign also aims to protect and uphold the reputation of more than 11,000 licensed and honest HVAC contractors. Special HVAC contractor workshops are under way to review state service and repair contract laws, including a customer's three-day right to rescind a home improvement contract; requirements for getting permits and inspections from local building departments; and the responsibility to assure that a contractor's workers' compensation insurance properly covers all employees so the customer does not become liable for on-site worker injuries. CSLB investigators have found that what starts out as a simple inspection, tune-up, or modest repair of an HVAC system often turns into a complete replacement that costs thousands of dollars and, in many cases, is completely unnecessary. In one case, an elderly homeowner reported that a technician performing a free duct inspection claimed to have found a cracked heat exchanger that was leaking carbon monoxide gas. The technician turned off the gas supply, rendering the unit inoperable during a December cold spell, and pressured the woman to replace the entire unit. Her son suspected a scam and called CSLB. An inspection by another HVAC contractor revealed that the unit was in good working condition. Some contractors are convincing consumers to waive this legal right so a job can quickly proceed and be paid for upfront. Although not considered an HVAC scam, making sure that permits are obtained and inspections are conducted by the local building department is one of the larger issues of industry noncompliance that CSLB is addressing. These practices harm employees and cause consumers to face financial risk if an employee is injured on the job. 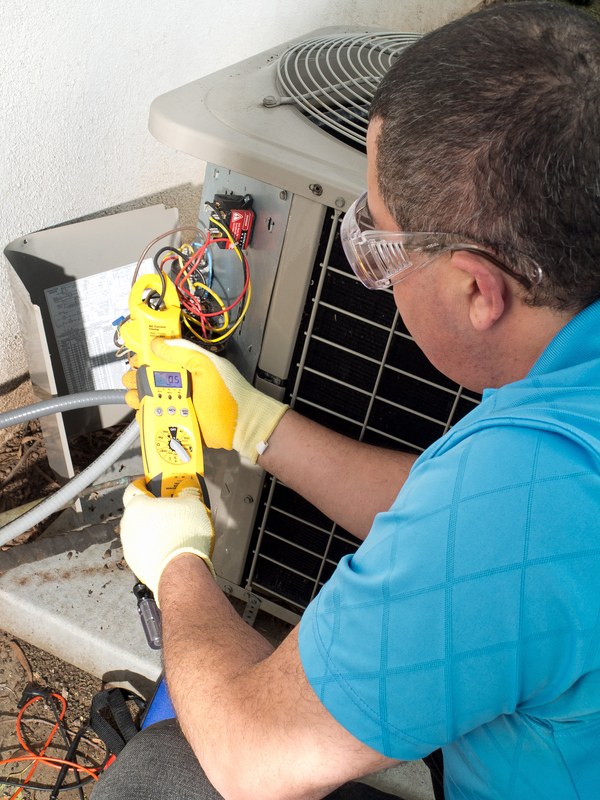 Educational HVAC workshops are under way to remind contractors about California's service and repair contract laws and requirements, including a customer's three-day right to rescind a home improvement contract. CSLB will alert HVAC contractors beforehand about workshops in their area. First introduced at a May 2014 industry meeting in San Jose, the Ambassador Program is a pilot project that enlists C-20 contractors in specific counties to market to customers the value of using a state-licensed contractor to assure proper installation, permitting, and state-required testing of new HVAC units to maximize energy savings and lower power bills. The program also aims to elicit more compliance with workers' compensation insurance and building permit requirements. CSLB has been conducting undercover sting operations that focus on HVAC installation, repair, and permit compliance, as well as check for workers' compensation insurance violations. The Board also has assigned several of its peace officers to work with local law enforcement, the BBB, and industry leaders to target licensed and unlicensed contractors who work on the legal fringe of contractor laws. The BBB has begun sharing its consumer complaint files about problem contractors with CSLB to aid with investigations, and local district attorneys will prosecute contractors who criminally harm consumers, particularly the elderly. CSLB will continue to publicize its enforcement events, such as sting operation results, and enhance consumer and contractor education about HVAC-related scams and how to avoid becoming a victim. Public outreach also will be conducted through CSLB's existing Senior Scam Stopper SM seminars, as well as through media appearances. CSLB encourages legitimate contractors to report anyone who bends or breaks state contracting laws by submitting a complaint form to investigators, or a lead referral form for active job sites to the appropriate Statewide Investigative Fraud Team, depending on the location.